Thomas Allinson was born at Grange-over-Sands in 1858. At fifteen he became a chemist's assistant. Allison had a strong desire to go to university and after saving a high proportion of his wages, his step-father agreed to help fund his studies. Allison qualified as a doctor from Edinburgh University in 1881. Allison believed that diet influenced people's health and encouraged his patients to eat wholemeal bread and to keep to a vegetarian diet. He explain his theories on the importance of diet and exercise in his book A System of Hygienic Medicine (1886). 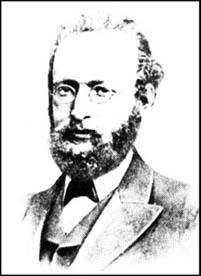 He also wrote The Advantages of Wholemeal Bread and books on stomach diseases, rheumatism and vegetarian cookery. In 1892 Dr. Allinson decided to set up his own Natural Food Company with the slogan "Health without Medicine". He acquired a mill in Bethnal Green and began producing his own wholemeal flour and sold it to his patients. Allinson also sold it to bakers and gradually wholemeal bread became available in shops throughout Britain.